Summer is looming ominously/excitingly near, and many people are wondering how their pasty flabby skin will cope with all the extra scrutiny. Exercise is key in making sure you feel confident stripping off, and I’ve rounded up a selection of weird and wonderful ways to get fit and have fun. I really enjoy novelty in my exercise regime (why else would I have a pole in my living room?) so I’m excited to share with you a variety of *very* different ways to get into shape this year. Gymbox, one of my all time favorite gyms has just released news of their latest class. Remember, these are the people who have previously brought the fitness world the WAG workout (you wear sunglasses and bend it like Beckham’s behind you) the Rave workout (performed to hard dance on mini trampolines whilst waving glow sticks) and Cheerleading, so you know a new class from them is going to be something special. This one has a couple of shocks up its sleeve.. literally. It’s a new take on circuit training as it utilises electrified balls, which you carry with you as you perform a circuit class. I just spoke to the staff there and they filled me in on how it works. Every time you start a new activity you reset the timer on the ball (this kind of thing) and if you don’t perform your workout quickly enough you’ll get an electric shock. This should weed out the wimps from the hard men, and hearing random ‘ouches’ as you workout will be entertaining. This strange looking device is called ‘Spinning for the arms’ and is created by Jonathan Goldberg the original creator of those amazing/dastardly (delete as appropriate to you) Spinning bikes. I’ve seen bikes before that just work the arms, but these differ slightly in that the seat is ergonomically designed for you to sit for longer and that you can stand whilst using it as well. 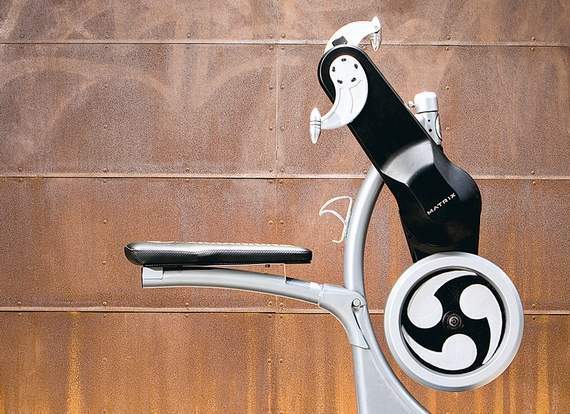 Krankcycling has started to take off in the States, and as the machine are smaller than Spin bikes I could see gyms being willing to embrace this new fitness trend. Personally I think this sound pretty horrific as my arms are even weaker than my legs, and being shouted at whilst arm-peddling is not my my idea of fun. Be warned though-I can see this everywhere in about six months. This is not strictly a new trend, as the company that provides the equipment was started in 2006. Still, they haven’t made it mainstream on this side of the pond, as apart from attending the Circus Space (very recommended for trapeze and clowning lessons) there aren’t many places you could learn to do this. There has been a recent trend in getting fit kid-style, as hula hooping and skipping are both great cardio workouts. Can we say the same for juggling however? Jugglefit was the brainchild of Heather Wolf and it sounds like a good workout for the upper body, as it’s all about coordination and stability. She sells a number of DVD’s on how to do this, and I could see this trend being picked up by gym users looking for a new exercise class. I do find it funny however, that the DVD’s come coupled with scarves as well as balls- imagine trying to get your boyfriend to have a go! Martial arts just got a whole lot quirkier with Tricking. 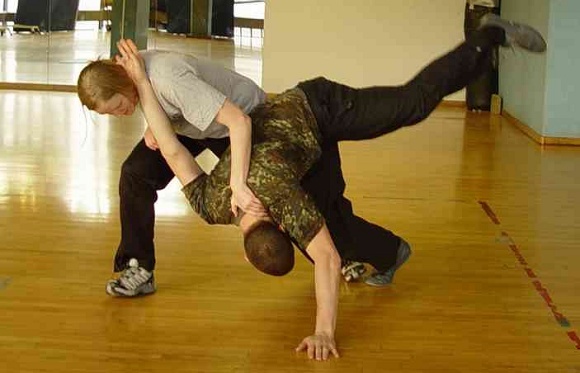 It’s a fusion of gymnastics, martial arts, and b-boying. The martial arts components takes disciplines from taekwondo, capoeira and kung fu with a selection of jumps and cartwheels that wouldn’t look out of place in a cheerleading routine. There are no classes set up to train you in this..yet. I’m guessing that Tricking will go a similar way to Parkour, and move slowly to the mainstream where people can take lessons in it and train at specific places. For now you’ll have to learn Tricking via online tutorials– YouTube will give you loads and there are also specific websites. Yoga has been around for yonks now, so it’s about time professionals started taking another tack with it. We’ve seen the fabulous Reformer machines spring up in studios around the country, but the latest fitness class takes more of a watery turn. Known as Poolates or Water Yoga, the idea is that you perform the traditional yoga poses in the water. OK, forget about the downward dog, but many of the salutations can be easily performed this way, and it would be a low impact workout. The water adds extra resistance to the poses, and it makes a change from the splashiness of aqua aerobics. So here you have it, five new ways to get in shape. Which one will you be trying?